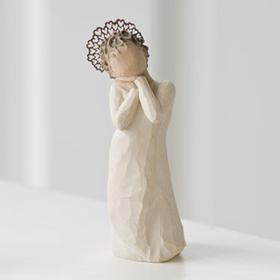 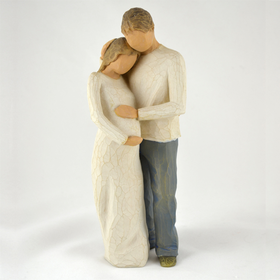 Willow Tree figurines celebrate the deepest emotions, but they are arguably at their best when they express love. 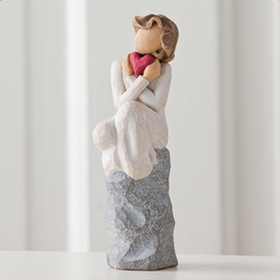 Our Willow Tree Love collection features couples young and old, angels, flowers, and tender hearts. 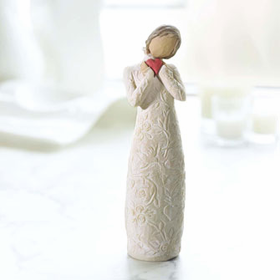 A Willow Tree cake topper commemorates a wedding promise or an embrace on a landmark anniversary. 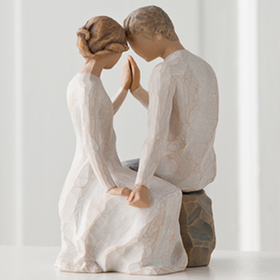 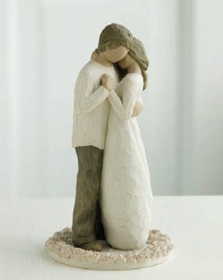 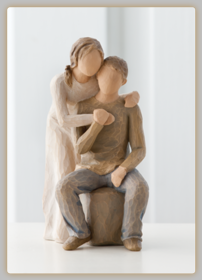 From the young love of Willow Tree Together to the Willow Tree Promise of a lasting relationship or engagement, our Willow Tree figures will be a lasting reminder of a special connection. 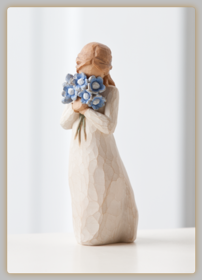 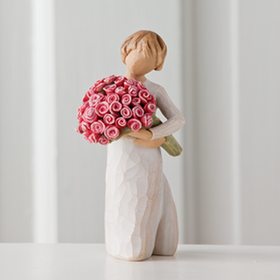 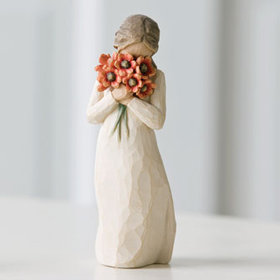 Our Willow Tree figurines bear flowers and hold hearts close. 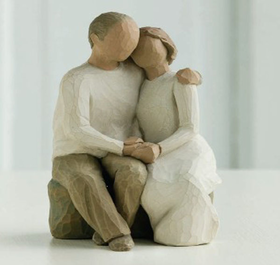 They embrace one another and remember lovers we can no longer see. 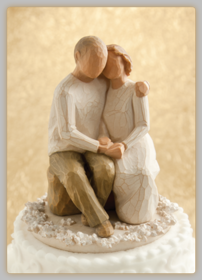 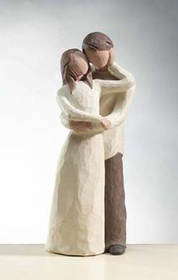 Giving sculptures like Willow Tree Promise and Willow Tree Together not only makes a couple feel special today � it serves as a reminder and a keepsake that grows more important as time passes. 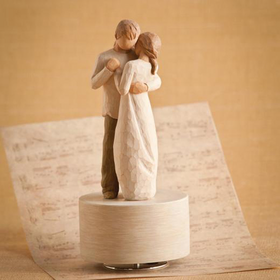 You can give a Willow Tree Cake Topper as a gift at a party, but don�t be surprised if you see the cake topper years later proudly displayed in the couple�s home. 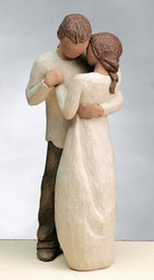 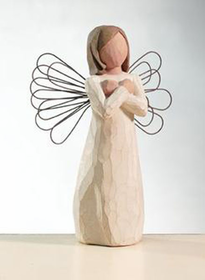 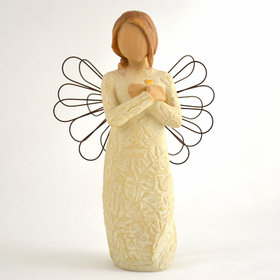 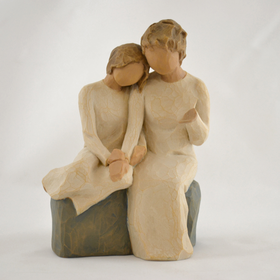 Give the gift of love with Willow Tree figurines from CoppinsGifts.com.